Basketball Australia is happy to announce the Australian Under-18 Junior Championship and Kevin Coombs Cup will be held in Townsville next year from April 8-15. While the Under-18 Champs will return to the north-east city of Queensland for the first time since 2004, it will be the first time that the Kevin Coombs Cup will be held in Queensland, a tournament which provides the only opportunity for junior wheelchair basketball athletes to represent their state in a national competition. “This is a very exciting time for Townsville Basketball and also the Townsville region,” said Townsville Basketball Development Manager, Greg Vanderjagt. “North Queensland has developed so many talented junior players and it’s a huge reward for this year’s group to be able to display their talents on our country’s biggest junior stage right in their own back yard in front of friends and family. With a large sporting precinct, the two competitions will be held at Townsville Stadium and Star FM Townsville Stadium which are both located within the Murray Sporting Complex. Queensland North will be aiming to restore success to their teams in front of a home crowd after the Under-18 women last lifted the trophy in 2013 while the men have not won the title since 2004. The state has had more success in the Kevin Coombs Cup though, with a representative team winning the Championship in 2014 and 2015. 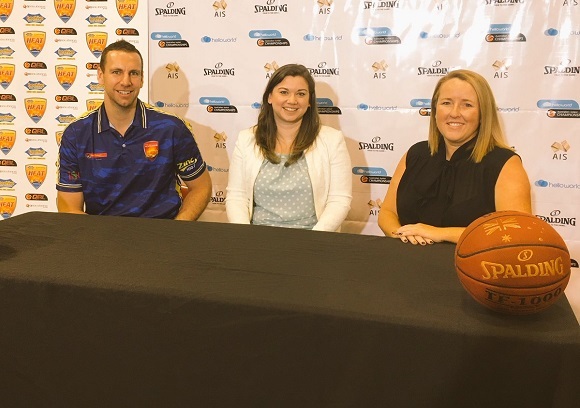 “Townsville produced a great tender and we are very excited to be returning there,” said Basketball Australia’s General Manager Competitions, Paul Maley. “North Queensland is a fantastic breeding ground for basketball talent, not least of which is evidenced by the back-to-back WNBL Champions, Townsville Fire. “Importantly for the people of Townsville who have shown themselves to be avid supporters of our game, this is a great opportunity to come along and see the best junior talent in the country. “The Under-18’s and Kevin Coombs Cup are a crucial piece of the high performance pathway. April 8-15 in Townsville, Queensland. Townsville Stadium and Star FM Townsville Stadium.